Ladies and gentlemen, please observe as I perform a magic trick: Today I will transfer photos from my phone to my PC—without a cable! Normally a magician doesn’t reveal his secrets, but today not only will I reveal how this trick works, I’ll do so with an easy to follow step-by-step guide. It’s hard enough to capture that perfect shot. So, once you do you want to make sure you can access it easily and share it with everybody. But it can be challenging to combine all your pics in one place without duplicating or losing any of them. In addition, remembering all the necessary steps to take to transfer them from your phone to your computer, and locating the right cable, can make it a time-consuming chore. 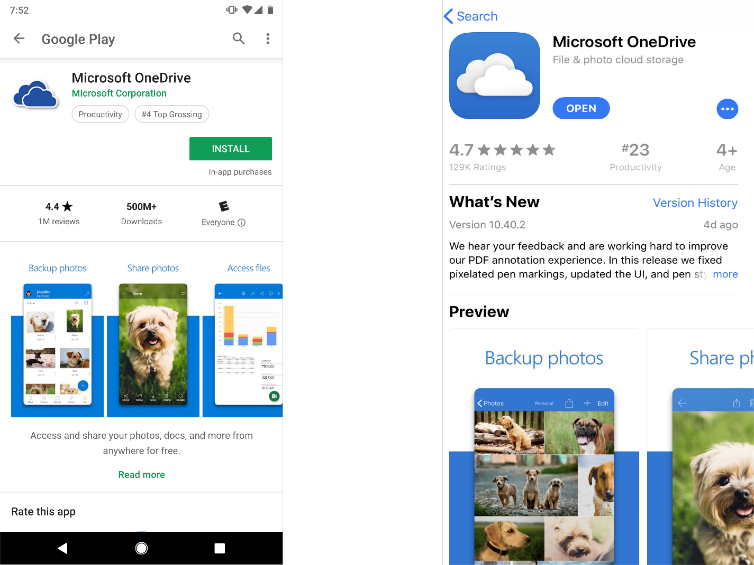 With the help of OneDrive’s Camera Upload gathering your photographic memories in one place is a snap. The first thing you’ll need is a Microsoft account. Don’t have one? You can sign up for one here. 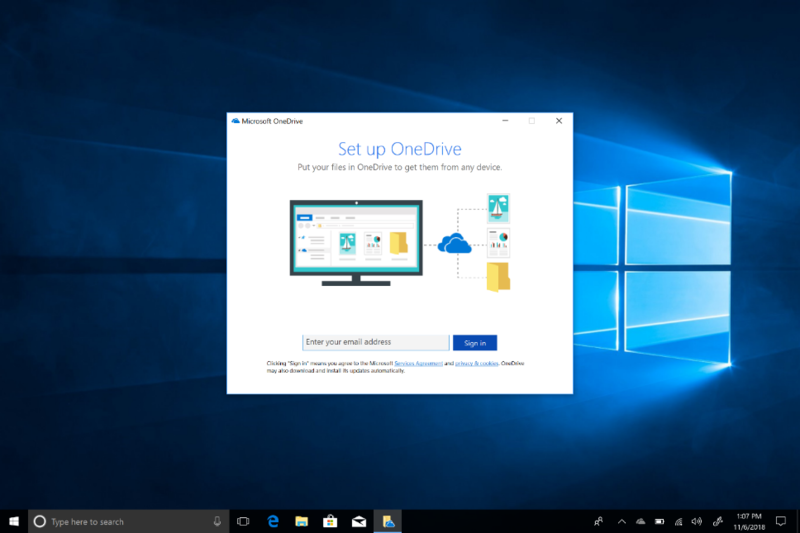 Next, you’ll want to make sure that you’re signed into OneDrive on your Windows 10 PC with that account. Type OneDrive into Windows Search in the task bar to sign in. You’ll be prompted to open your OneDrive folder. From this point forward, anything you put inside of it will be accessible from other devices. 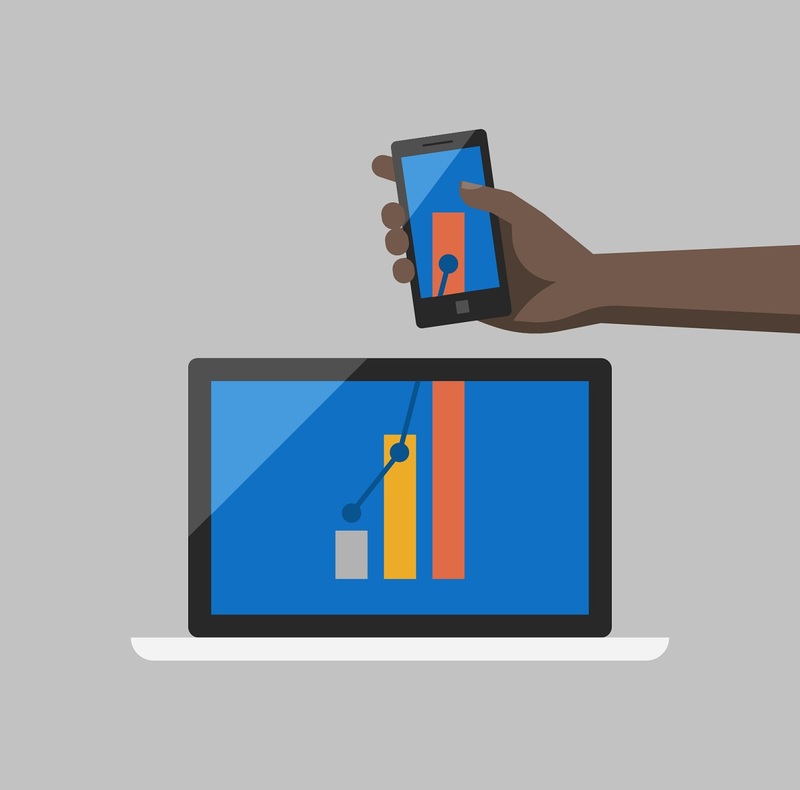 Now that your Windows 10 PC is set up, we’ll do the same with OneDrive on your phone. 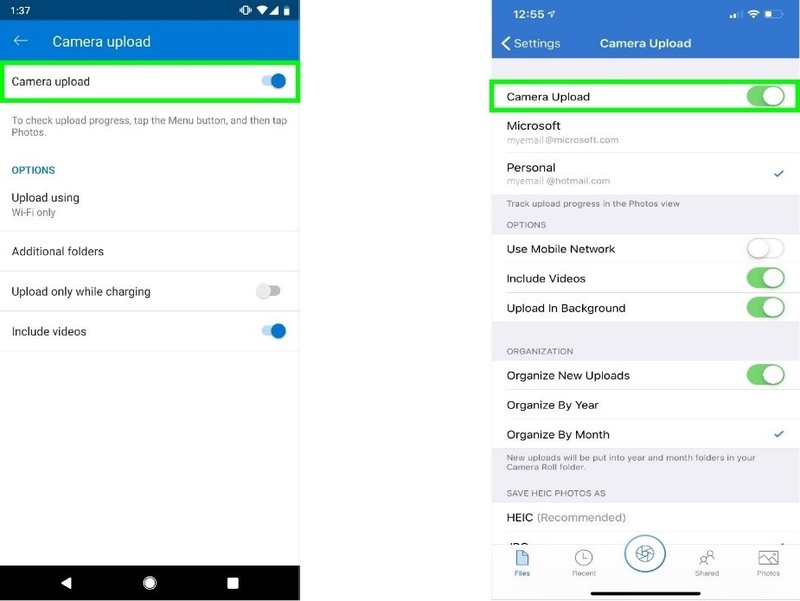 You don’t have to choose: OneDrive’s Camera Upload works with both. Just follow the installation instructions for each below. Launch the app and sign in with the same Microsoft Account used on your Windows 10 PC. The App will ask for permission to access your photos and videos. Lastly, we’ll enable the camera to automatically back up all photos and videos taken with your phone. 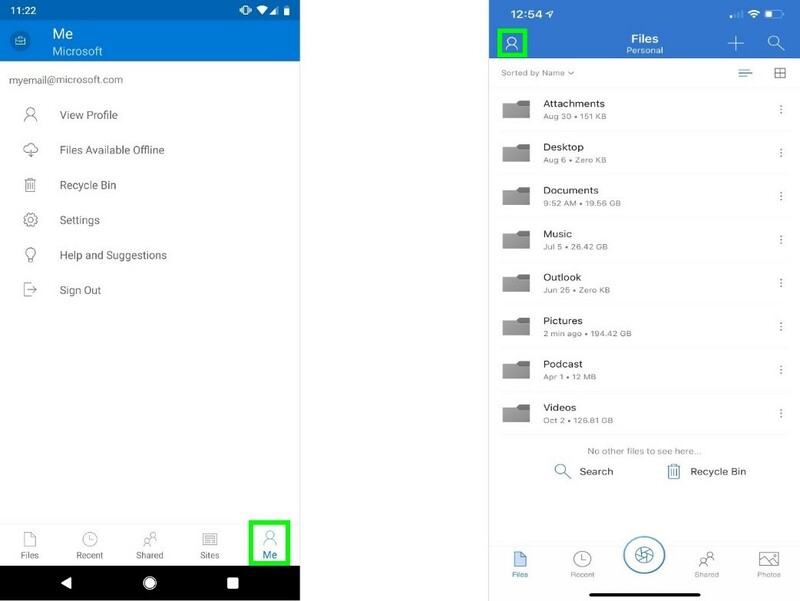 Android (image below left): You’ll see five items on your screen: Files, Recent, Shared, Photos, and Me. Select Me. iPhone (image below right): Select the person icon in the top of the app. Android (image below left): Select Settings and choose Camera Upload. iPhone (image below right): Tap the toggle on the right-hand side to enable Camera Upload. That’s it! The pictures from your phone will automatically upload into the OneDrive folder that is set up on your Windows 10 PC. By default, these pictures will be stored under Pictures > Camera Roll. The time this takes may vary and depends on the number of pictures you’re uploading as well as the speed of your internet. In today’s fast-paced world it’s extremely common to jump from phone to computer and back again. 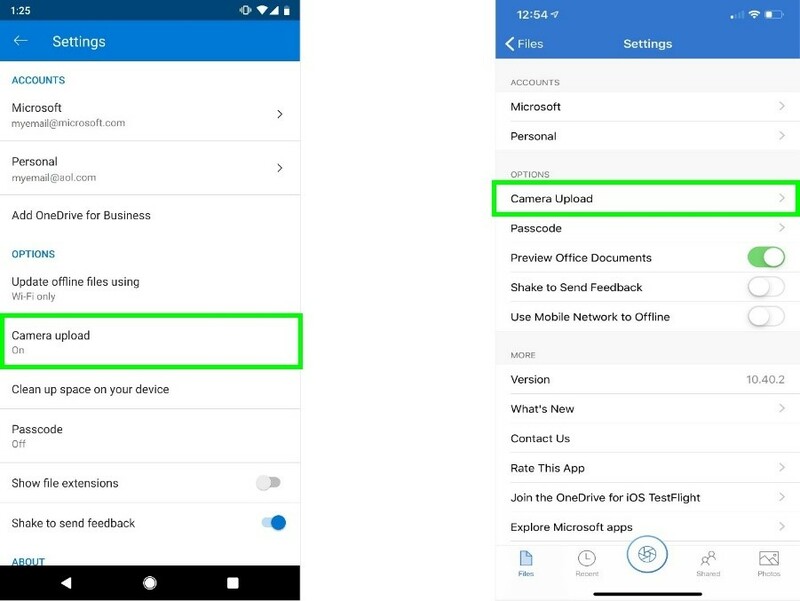 OneDrive’s Camera Upload is an easy way to consistently access your catalogue of pictures. Not only that, but when it comes time to replace one or the other, you can rest assured that your photographic memories will remain intact.